Harry and Marafiki. . Wallpaper and background images in the Harry Potter club tagged: harry potter hermione ron best friends. 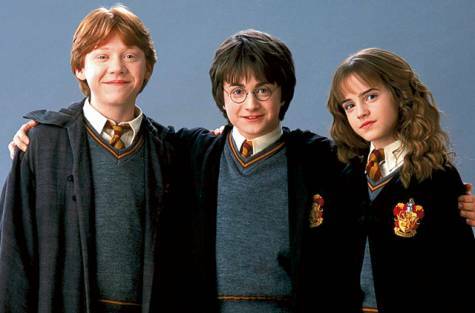 why is ron wearing a different cloak from the rest.